In Monday's Hot Clicks, we celebrate 101-year-old runner Julia Hawkins. Plus a look at the lovely Raquel Pomplun. Congratulations to Baton Rouge’s own Julia “Hurricane” Hawkins, who at age 101 set a world record for the 100-meter-dash in her age group with a time of 40.12 seconds. Hawkins, who started running when she turned 100, is the oldest female competitor in USA Track and Field history. I have still never seen Game of Thrones but last night’s premiere seemed like a success (EW gave it an A-). Here are some other important links: Where else have you seen these 50 GOT actors ... Eagles defensive lineman Chris Long wrote about his favorite characters ... 20 great GOT-inspired hockey jerseys ... The best Game of Thrones promo nights across MLB this year ... Athletes of all sports were excited for last night's premiere. Lonzo Ball has been cheating on Big Baller Brand with Nike, Adidas and Jordan Brand. Here’s a look at how he performed in each shoe. 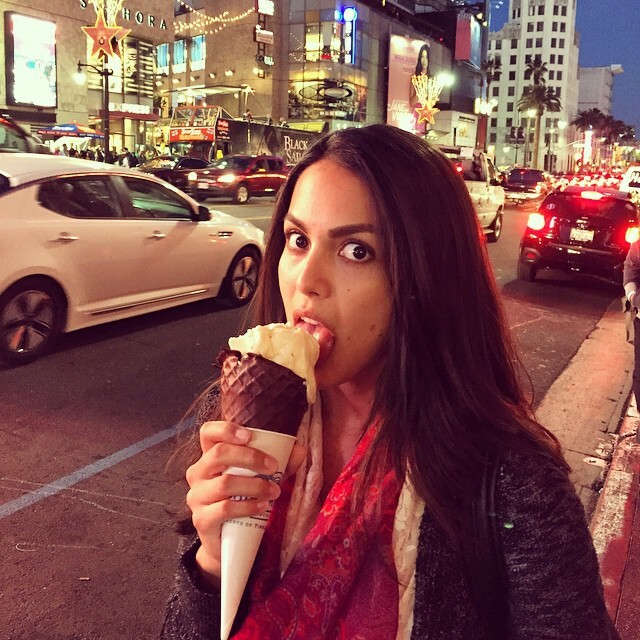 I’ve been a longtime fan of Raquel Pomplun, and now that she’s launched a new online game (Millionaire’s Run, download now), it seems like a good time to feature her as LLOD (click for full-size gallery). Didn’t watch much Wimbledon this year? Read this story and you’ll be all caught up. This might be my favorite two minutes of the whole tournament. I love this fan. This video made me a bigger Tom Izzo and Michigan State fan. Torii Hunter once played catch with a boy while in the minors in Connecticut. That boy turned out to be George Springer ... Vladimir Guerrero can still rake ... Athletes paid tribute to Roger Federer after he won his eighth Wimbledon title ... A fan turned Conor McGregor’s swear-filled suit into a tattoo ... Bruce Arena is not fooling around as the U.S. team preps for the Gold Cup ... John Cena could win an Emmy for one of his commercials ... Italy has a sport I don’t remotely understand ... Inside the launch of the new 24/7 Olympic channel ... Here’s a nice moment between a Red Sox and Yankees fan ... The world’s oldest man may be 116 and have 39 children ... R.I.P. Martin Landau, who passed away at age 89 ... For $55 a night, you can live in the world’s tiniest house ... Nine Netflix hacks for better binge-watching.